Host Ian Lauer CSCS IFBB Pro welcomes IFBB Pro Anton Antipov back to the show. Anton was last years overall winner at the North American's and is qualified to compete this year for the first time ever the Men's Physique Division has been on the Olympia stage. Anton discusses the NA's as well has his Olympia plans. 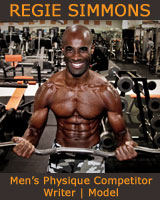 Then IFBB Pro Dean Michael hops on the line to bring you the NPC/IFBB Men's Physique Weekly Report. Physique Star Radio (8/20/13): Welcome The Texas Shredder Dave Goodin to the show. Join Ian Lauer CSCS IFBB PRO as he welcomes The Texas Shredder Dave Goodin to the show. Dave just crossed over from BB to MP as a pro and stepped on stage for the first time in two years. The interview is a great account of that transition, is chock full of tips and is very insightful as to the direction of the sport. To wrap up the show, IFBB Pro Dean Michael Fazzolari jumps on the line with Ian to bring you the latest on Men's Physique in the NPC and IFBB. Physique Star Radio (8/13/13): IFBB PRO Dean Michael Fazzolari and Tory Woodward to the show. Host Ian Lauer IFBB PRO discuss the latest in the NPC and IFBB Men's Physique with Dean Michael Fazzolari IFBB PRO. In the second half of the show he welcomes IFBB Wings of Strength Pro Show Men's Physique winner Tory Woodward to PSR. Tory's basketball history and how he stumbled early in the Men's Physique Division make for a valuable lesson for newbies to the stage. Physique Star Radio (8/06/13): IFBB PRO Dean Michael Fazzolari and Xavisus Gayden to the show. 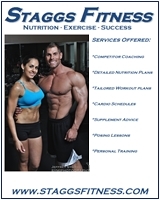 Join host Ian Lauer CSCS IFBB Pro this week on PHYSIQUE STAR RADIO. He and IFBB Pro Dean Michael Fazzolari chat it up in regards to the upcoming Tampa Pro show. Also on the show is NPC USA Championships Overall Men's Physique Winner Xavisus Gayden talking with Ian about his journey to become an IFBB Pro.